Crawl credentials (Pass and Wristband) provide access to the shuttle to hop between locations and a sample basket of 4 wings (2 of the Buffalo sauce entry, and 2 of the open flavor entry) from each of our contestant’s locations. You will need both the laminated pass and the wristband to get wings. View the map of this year's contestants. These locations include (from east to west) Burgers 2 Beer, Deagan's, Merry Arts, Bobby O's, Plank Road Tavern, El Carnicero, Mid Town Booth's, Game On, Side Quest, Riverwood, Harry Buffalo, Around the Corner. You may travel through your route in any order and at any pace you like. After you have sampled all the flavors and evaluated what each contestant has to offer, you will cast your ballots for your favorite Buffalo Flavor and Open Flavor wings. 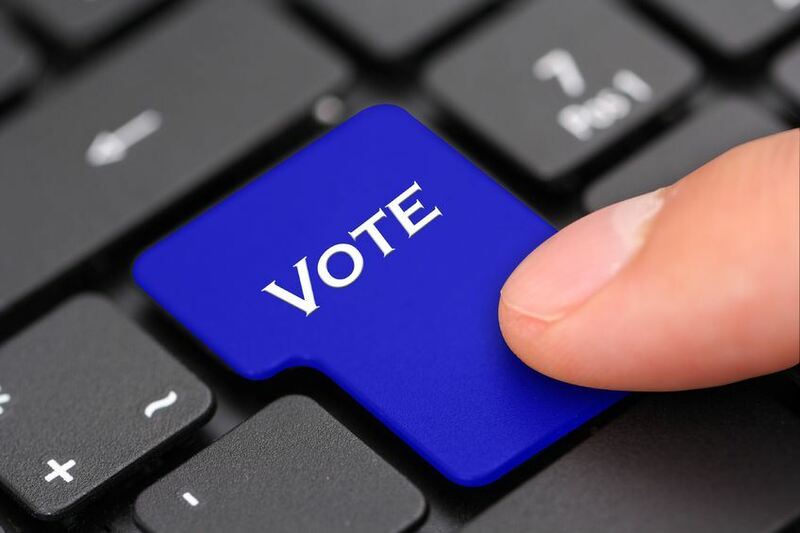 It is recommended that you cast your ballot online here. If there is an issue then you may email a photo of your paper ballot included in the program to manager@pillarswingcrawl.com. You will need to be registered to vote. Deadline for all entries is midnight. Votes will be tabulated to determine the People’s Choice awards. Those results will be combine with the Judge’s awards to decide the overall winner and we will announce the Best Wings in Lakewood on Sunday at noon. As a friendly reminder, please be kind and courteous to the contestants, other participants and the community in general. Thank you for always making it such a great event. Be sure to check back for the latest updates on the 2018 Pillars Wing Crawl. The Wing Crawl History began in 2007 and has grown in popularity to a level that was beyond our expectations. Each year as the winter weather turns to spring, we begin to get questions of when the event will be held so that people can plan their summers. In 2016, one of those questions came all the way from Germany and we are proud to say that the event has an international draw (crazy right?). The idea that someone would plan their summer vacation around an event that we host is a sign that we are onto something good. The predecessor to Pillars of Lakewood was the Lakewood Jaycees. In 2006, the Jaycees were looking for a signature event. After a long while of brainstorming and assessing what we had available and where a need may exist, a young man sitting on the next bar stool said, well Lakewood has a lot of places that serve wings why not have a contest. From there we set out on planning the first year’s event, which was to be a festival. We made arrangements with the City of Lakewood to host the event at Lakewood Park and booked bands to play on the bandstand, organized a skateboarding competition and games for kids to play, organized concessions for soft drinks and set up portable deep fryers for our 6 contestants to cook their wings. Wings were sold in baskets of 10. Votes from the guests and judges were tallied and a winner of the Best Wings in Lakewood was declared. After all was said and done we had hosted a large event and learned a lot about how it could be better. The next year, it was wisely decided to incorporate the crawl. Rather than face all the challenges of cooking with portable deep fryers (which kept us at the park for four hours while we waited for the oil to cool down), it seemed to make more sense to bring people to the contestants. This gave the contestants the opportunity to work in the comfort of their kitchen and the guests were able to check out places that they may not have been to. The first few years had locations on Madison as well as Detroit. Initially, we had contracted with Lolly the Trolley and for every year since 2008 American Limousine, has been used to provide shuttle service throughout the event for all of our guests. There have been a few tech updates over the years as Facebook and PayPal have made it so much easier to sell passes. Over the years, there have been many contestants. There are some locations which have held strong over the years and others which have come and gone. Pillars appreciates the support that all of the contestants and guests have given us over the years to make this event such a success. We look forward to another 10 years of showcasing the vibrancy that our Lakewood establishments have to offer. Using the blog gadget, you can add a blog to your Wild Apricot site to provide timely updates and information to your membership. By using Recent blog posts, you can display a list of the most recent blog posts, with links to the full posts. The list will include the date of each post and the name of the poster – with the name linking to their profile if available. For instructions on inserting, moving, and deleting gadgets, see Gadgets. You can create as many different blogs as you wish. You can limit access to a blog by placing it on a restricted page. If you make the page public, you can still use the blog gadget settings to control functionality for visitors and members. You can read more about setting up blogs on our Blog help page. If you are looking on more information on how to use blog, you can find it here. This is another sample blog entry. Depending on your readers' access permissions, they can comment on your posts, and reply to comments. You can learn more about setting up blog pages on our Blog help page.